In the current trend of e-commerce, every organization is eager to make an online impact. According to a recent survey, there are more than 1 billion websites in the world until 2014. The count is increasing and it is created a huge demand for web developers. There are numerous platforms available for web development in the market. To choose the right amongst the available is the smartest decision in web development. AngularJS is an open source web application structural framework for dynamic web apps. It was originally developed by Adam Abrons and Misko Heveryn in 2009 . 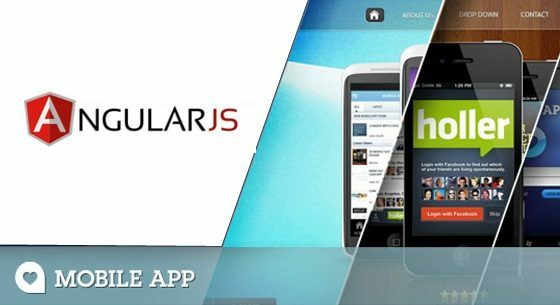 An AngularJS application framework which revolves around HTML (Hyper Text Mark Up Language), CSS (Cascading Style Sheet) and JS (Java Script). The PubSub system in Angular is a pretty common tool that will help to communicate between children and ancestors controllers. Most PubSub implementations on the web are not context aware that are readable only by the children of a particular node, or ancestors of a particular child. But The PubSub system in Angular allows to send a message to all children and ancestors controller. Angular overtakes the traditional way of testing web apps by creating single test pages and testing the each individual pages and to detect if it works or not. The entire Angular is connected together by Dependency Injection. DI basically deal with controllers and extensions and controllers depend on DI to pass it information. Thus Angular’s unit tests are able to usurp DI to perform unit testing by injecting mock data into controller and measuring the output and behavior makes unit testing simpler and efficient.